If you want a strong indoor TV antenna that blends in, look no further than RCA’s Skybar. RCA’s Skybar amplified indoor HDTV antenna is tech chameleon, blending into your entertainment center with absolutely no effort. It’s designed to look like a speaker sound bar, a goal it performs so well that someone at a recent family gathering asked me what brand of sound bar I was using (I don’t own one). The RCA Skybar measures 32 inches long and is 4-inches high. A stand on the backside of the antenna can prop it up on your entertainment center in front of your TV, or you can use mounting holes on the back of the antenna to hang it on a wall. You’ll need to supply your own screws and anchors, should you decide to go that route. It would be nice to have everything you need included in the box. 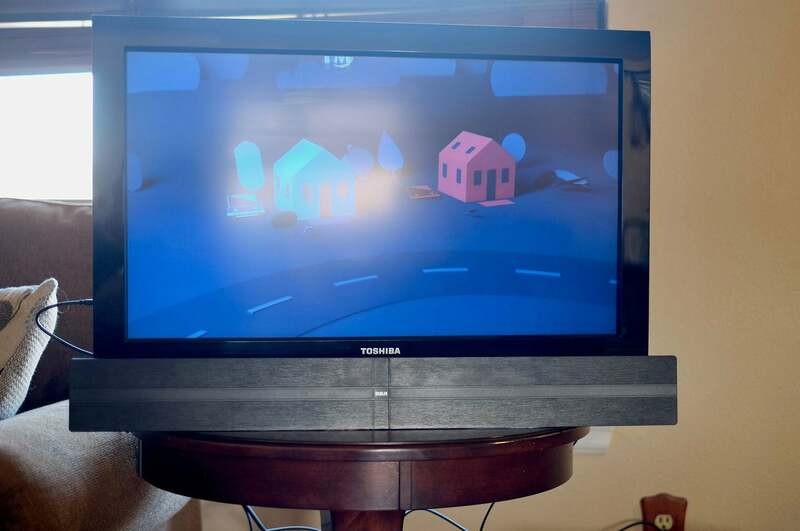 I used the stand to place it in front of my TV for my tests, and I also tested it on a window ledge. 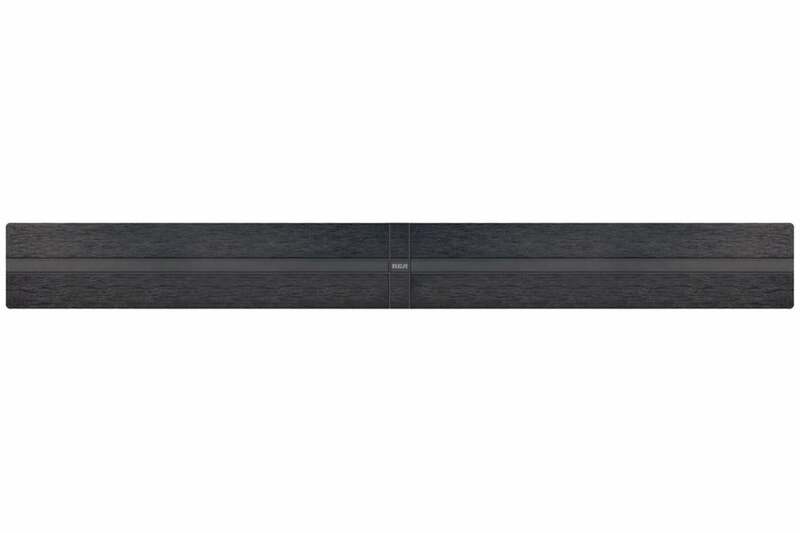 The RCA Skybar looks very much like a sound bar, but that could be a problem if you also have a genuine sound bar. RCA says its inline amplifier boosts the Skybar’s coverage to 30 miles. The amp uses a Micro USB cable, which you can power using an open USB port on your TV or with the included wall adapter. I tested both power sources and didn’t notice a difference. In terms of performance, the Skybar detected a total of 24 channels, 23 of which were digital and a lone analog signal. That analog channel has yet to come in clearly, regardless of the antenna I’m testing. There are at total of 31 total channels available in my area. The 24 found by the Skybar puts it second, behind only the Mohu ReLeaf antenna that remains my top pick. Digital channels were in the proper HD format, being 1080p or 720p, depending on the channel. I did have to move and fuss with it at one point to get PBS to come in without interference, but in my house, that’s par for the course for the PBS channel. When looking at performance combined with the aesthetic appeal of the Skybar, it’s hard not to recommend it. It’s superseded by the less expensive ReLeaf, based on price and the added bonus of finding one extra channel. For some users, the looks of the Skybar will be worth the extra cash and the sacrifice of one TV channel.